While the manager's vocabulary usually includes words such as administering, authority, duties or objectives, the leader talks to people's minds and leverage on their aspirations, needs and abilities more than on company's procedures. The leader acts as an authoritative person, combining conceptual skills like vision and innovation with human skills like influencing and trust. 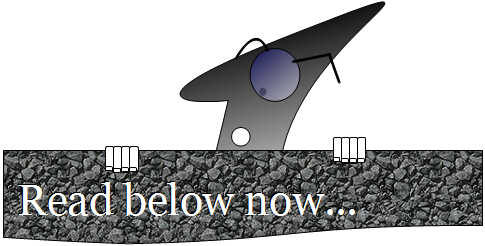 Also, while the appellation "manager" identifies - per sè - an undisputed role within the organization (management of resources, regardless to which function such resources belong to), the term "leader" does not necessarily define a specific position or a role in a group. While a leader has good chances to be a successful manager, a good manager is not automatically recognized as a leader due to the role that he holds. a manager "manages" resources, while a leader "guides" people. Management of resources means to be in charge for people or systems that need to deliver something AND drive them to fulfill as expected. A manager performs this task by leveraging on procedures established by the company or the association which he belongs to. He provides his subordinates with directives and instructions without necessarily providing explanations for what he is asking to do. Leadership has to do with the ability, not necessarily innate but also acquired over time, to convince and motivate people to do something. Everybody can practice leadership and improve it over the years. Leadership can be exerted at work as well as in the life. One can be a leader while he manages a team of professionals in a company, or can be a recognized leader in his family, or in a gang, in a pool of investors, in a group of friends and so forth. We can also state that the ability to communicate and persuade people articulating a certain position, otherwise said leadership, is a plus that a manager should have in the basket of his competencies in order to excel. To make the point even more clear, let's imagine two scenarios: the first one where a manager requires a subordinate to complete a task and the second one where a similar request is made by someone by exerting his leadership. First scenario: a request is made by a team manager without exerting his leadership. From the reaction we understand that the subordinate will process the request but the task is perceived just as a new one to be added to the project to-do list. The reaction is quite negative as at the worker' eyes there is no opportunity coming from that task but a workload increase. Second scenario: a request is made by the team leader, it is effective and stimulating. The reaction of the worker is positive as he feels to get involved and part of the team. The problem to be solved is perceived as an opportunity for visibility and for a personal growth. Now, how all the above applies to a project manager? Undoubtedly, if practicing the leadership is worth for a manager of a team, this holds true also for an individual managing a project. Project management requires 1) a deep technical know-how about resource and systems management, like a pure manager possesses, but it also requires 2) a broad use of behavioral competencies that range from self-control and creativity up to conflict management, negotiation and engagement. That's the portion that a leader deepen and seeks over the years. Depending on the complexity of the project and the environment, the leadership skills may be moderately or severely challenged. All cases, it is likely to see the project manager in that uncomfortable situation that invokes a full control on the resources assigned to the project but without having a direct authority on them. A scenario which is typical for a matrix organizational model. Under those circumstances, it is of the utmost importance that the project manager uses and refines his leadership throughout all the project phases. The PM must be a visionary to constantly draw and adjust new limits for the team, in synergy with the company strategy. He must be an excellent communicator to ensure that people understand the expectations associated with the project while he understands the aspirations of people, for a mutual benefit. He must be an integrity champion to inspire trust and keep far from misconducts. He must be enthusiastic to be persuasive with followers. charismatic. A lighthouse in the chaos to materialize achievements no matters how fast the context changes and regardless of the uncertainty introduced by external factors. He needs to remain cool and professional under pressure, and be sure that management can be very stressful at times, particularly if a project starts veering off track. Last but not least, he must be creative enough to devise solutions to work around the unexpected issues that every complex project usually requires to cope with. 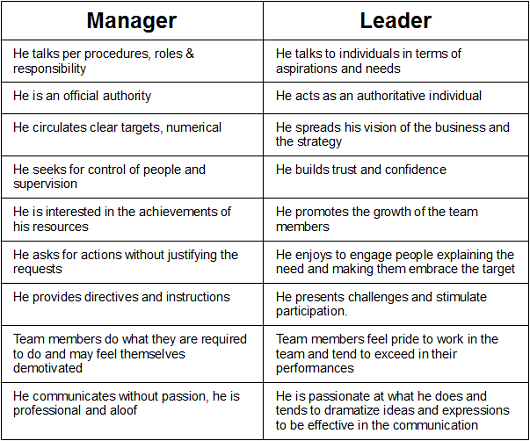 So, manager VS leader. Who better impersonates the role or project manager?